Horseshoe crab, photographed at J.N. "Ding" Darling National Wildlife Refuge, Sanibel, Lee County, in October 2016. The horseshoe crab, Limulus polyphemus, is one of the blue bloods of the animal kingdom. Its blood is literally blue. And important not only to the horseshoe crab but to us as well. It's actually saved lives. Unfortunately, the horseshoe crab population is trending the wrong way, because of habitat loss and overharvesting. And that makes it Exhibit A as to the importance of preserving our environment. First, this is a crab that's not a crab, closer in relation to your average spider than it is to say a blue or fiddler crab. Second, it is ancient. Horseshoe crab fossils date back 450 million years; the first dinosaur appeared 250 million years ago. There are four species of horseshoe crab on the planet, but our guy, the Atlantic horseshoe crab, is the only one found in North America. Their range extends up and down the Atlantic seaboard, through Florida, and along the Gulf Coast to Mexico. Adults live in the deep waters of the ocean, but return to the beach to spawn on a schedule determined by the tides and the moon. 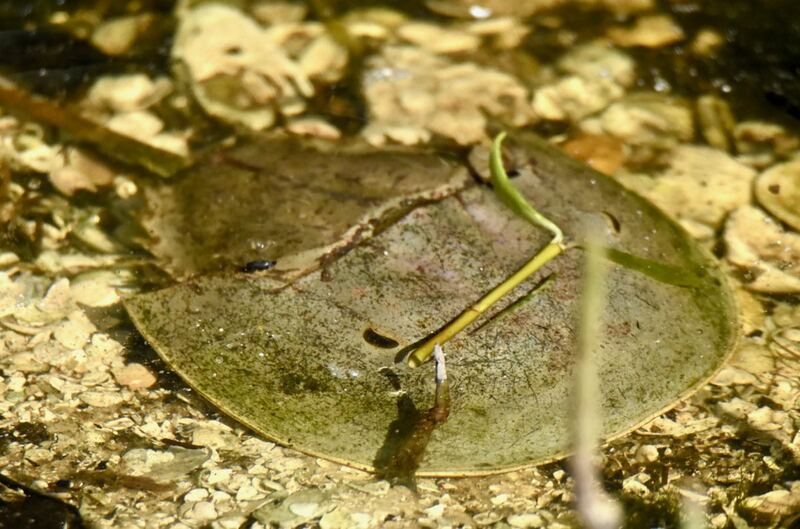 In Florida, spawning occurs throughout the year; in the north, during spring and summer only. Horseshoe crab ladies go about 18 inches long, a third larger then the guys. That long, pointy tail is called a telson and isn't used at all as a weapon but rather to flip the horseshoe crab over if he finds himself on his back. The head makes up the majority of the body and includes the brains (such as they are) heart, glands, mouth and other parts. The triangular section behind the head is the abdomen. Horeshoe crabs have nine eyes, plus light sensors. The two largest, seen in the photo above, are used for finding mates. 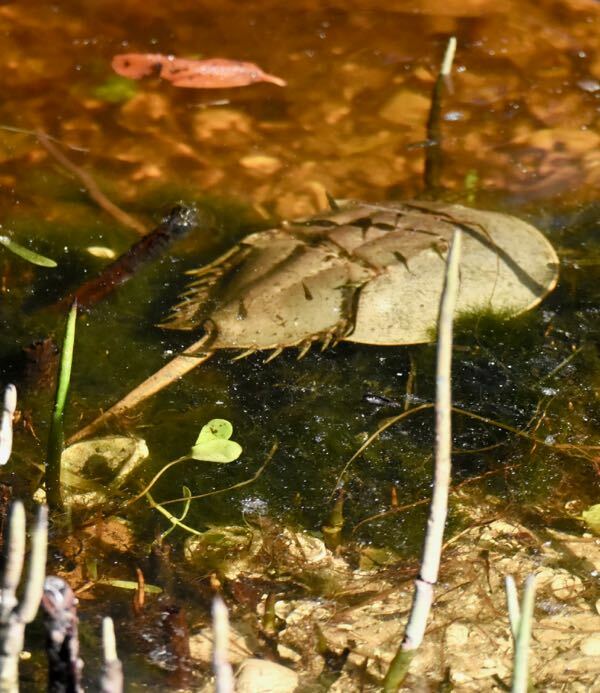 Horseshoe crabs are predators, eating claims crustaceans and sea worms. They will nibble on algae as well. They lack jaws, so they crush their food between their legs before eating it. They also have gizzards, which grind food before it gets to the stomach. The crabs are meals for alligators, sharks, turtles, birds, foxes and raccoons. When it's time to spawn, horsecrabs hit the beach in large numbers. Males intercept females as they pass by and grab them with foreclaws made for the purpose. The two then crawl together to the beach. The female digs a small hole and deposits her eggs in it, while the male fertilizes them. Rinse and repeat several times during the course of a session. Other guys, called satellite males, swarm her and try to fertilize her eggs with their sperm. This occurs at high tides three days before and after a full or new moon. Larvae emerge a few weeks later and hang out in the area above and below the low tide mark. This assumes, of course, that they survive the onslaught of birds and fish that feast on them — half the diet of some birds is horseshoe crab eggs. It might seem like a horseshoe crab slaughter, but these eggs are an extremely important part of the birds' diets, particularly migrating birds who's journeys span thousands of miles. And horseshoe crabs have been dealing with this for millions of years. It takes a horeshoe crab 10 or 11 years to reach full adulthood, molting as many as 17 times in the process. They can live as long as 20 years. As we said, horseshoe crabs have blue blood — it's copper based, unlike our iron-based blood. But really that's not what is important, at least from our standpoint. What is is this: horseshoe crab blood makes a substance called limulus amebocyte lysate that will trigger coagulation in the presence of minute amounts of bacterial toxins. 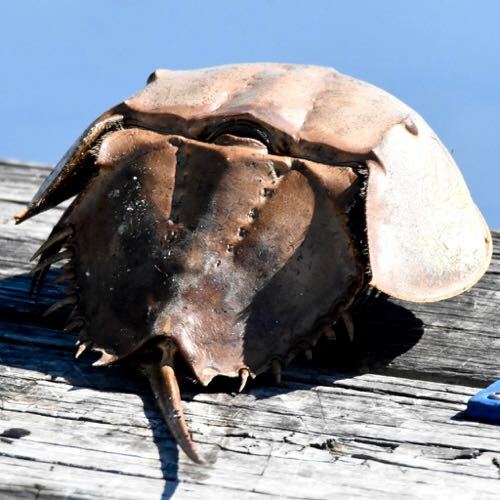 For decades, it's been used for testing the sterility of medical instruments and intravenous drugs, saving million of human lives in the process, but at a cost to the horseshoe crab population. The animals aren't necessarily killed while their blood is collected, but many are. And many of those who survive do so in a weakened state. During the 1990s, the number of horseshoe crabs harvested annually shot up from fewer than 100,000 to more than 2.5 million, according to the National Wildlife Federation. In Delaware Bay, the world's largest concentration of horseshoe crabs, the population has declined by as much as 90 percent for a variety of reasons. Scientists are linking the decline in horseshoe crab numbers to declines seen in certain shorebird numbers. We are taking measures to conserve the population — Atlantic coastal states, including Florida, are attempting to identify horseshoe crab nesting beaches. 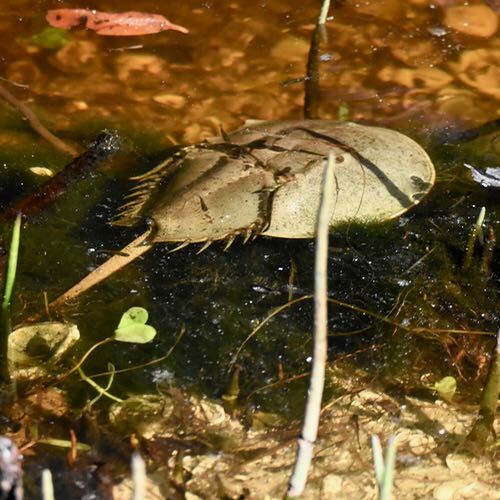 And scientists are developing ways to produce limulus amebocyte lysate through means other than draining millions of horseshoe crabs of their blood. But horseshoe crabs have other uses for us. The blood is being used to test for fungal infections in humans. Other tests are available but they take days to weeks to complete; horseshoe crab blood does it in hours, allowing patients to get appropriate medications quicker. And their eyes are being studied so that we can better understand our own vision. They are also used as bait to catch eels. They used to be caught for use as pig and chicken feed and as fertilizer. Horseshoe crabs are members of Limulidae, the horseshoe crab family.